We welcome editorial content from all sources for possible inclusion in the printed copy of the Tipp Tatler and for publishing online on our website. Articles considered for inclusion include news, events, entertainment, sporting events etc. along with accompanying photos if available. While we do our best to provide something of interest to our large and varied readership we cannot guarantee inclusion in the Tipp Tatler magazine for every article we receive. Each week we receive hundreds of press releases and snippets of news. As a general policy we do not charge non profits for including details of upcoming events but again we cannot guarantee inclusion in the magazine due to space restraints. Due to the vast number of emails we receive we may not get a chance to reply to each individual email. Keep an eye on our website to see if your article has been published online or ask your local shop to hold a copy of the magazine for you. We sometimes include write ups about local businesses who advertise with us or include informational articles written by local business people. Again, inclusion of such articles is entirely at the discretion of the publishers and subject to space restraints. 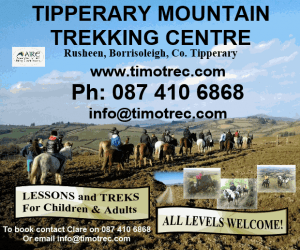 The placement of an advertisement in the Tipp Tatler is no guarantee of inclusion of any editorial content supplied by the advertiser. To view our advertising rates click here. Content must also be supplied in time to meet our printing deadlines, phone 0504-51945 or email info@tipptatler.ie to find out our next print deadline. Articles published on the website tipptatler.ie are also promoted through our social media channels of Facebook and Twitter. There is no charge for non profits and local sporting organisations. Businesses may incur a charge for articles containing links to their website. 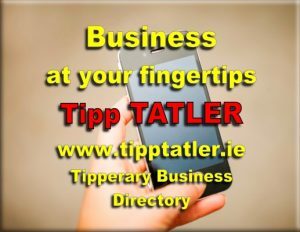 Email info@tipptatler.ie if you would like to promote your business through our website. Short articles are preferred. Due to the size of the publication articles that are considered too long will generally not be considered for publication. We prefer to give our readers short snippets of easily digestible information with details of where they can find out more information should they wish to do so. We can however publish articles of whatever length on our website. A basic tip if you wish to submit a detailed lengthy article you could also include a summary of the key points ie. a shorter article for publishing in the magazine. If you suggest a heading for the article please please just type it in regular text, not ALL CAPS. Again that just creates extra work for us. Please do get in touch if you have any queries phone 0504-51945 or email info@tipptatler.ie.